Glass Door Window Company VA DC MD. Created this custom website for a client and we are so happy with the results. He offers and provides Door repairs and installation. Located @ Alexandria Virginia. Offering services to the DMV area. We create custom websites per your needs and also offer you our cloud web hosting services. We can also help you with your SEO services for your website. We do create great and professional designs for your business. Let us help you get more leads and just more traffic to your site. Our professional SEO services are simply the best and most affordable. This website was created by our team custom built and we all are happy. The results are just too great; especially our SEO! We have monthly plans that we can help you improve your google rankings. Get found and hired with our services. Let us help you with your web hosting services, websites, graphic design, signage and our SEO services. Contact us today to start your journey with us! Please take the time to visit this website portfolio item. Here you can see our work! Glass Door Window Company VA DC MD, We have created many different glass company website’s. Let us create and design your glass company website for a very affordable price. We help many business’s out there with their complete branding and marketing plans. We have created business card designs, vehicle signage, advertising and promotion campaigns. We are able to get you more customers. Sometimes this would happen very quickly depending on the marketing plan you need and want. We have pay per click Adwords and Bing networking. 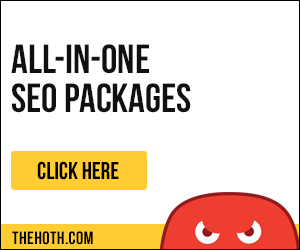 Social advertising plus the best option here = SEO! Yes SEO is my favorite. Because on the long run you will save the most $$$ PLUS is a free organic search engine service. Invest on your website today! Contact us today for a website design and developed by professionals.